When Drew Coleman was a student at Tulane University, he spent time as a tour guide leading prospective students around the university campus. He enjoyed this time meeting new people and talking with them about university life, but never suspected that he would one day meet a girl, Kate, who would later become the love of his life. Perhaps a bit of kismet was at play, because despite the fact that Kate decided against choosing Tulane for her undergraduate studies, and several years had passed, Drew and Kate met each other again while attending Tulane medical school. Thus began a sweet courtship that the couple managed to squeeze in between classes and studying, which eventually led to them both attending parties and going on an extended vacation together. Nearly a decade and a half later, Drew and Kate’s relationship blossomed into a wonderful, loving marriage, complete with two children of their own. Drew, an ophthalmologist and Kate, a rheumatologist, led a wonderful life together raising their children until, unfortunately, tragedy struck their perfect world, and turned it upside down completely. This came as such a powerful shock to Drew that it caused him to initially run away from the situation and eventually morph into embarking on a decade’s walking journey of self-discovery. During this time Drew not only covers a vast physical distance, meeting and interacting with some interesting characters, but he also navigates an immense philosophical distance, and is able to come out of both successfully. 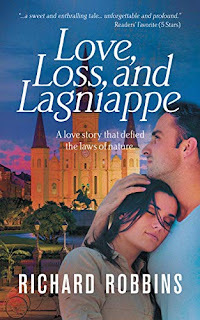 Richard Robbins’ debut novel, Love, Loss and Lagniappe, is not merely a simple romance novel, as the title states, of love and loss. 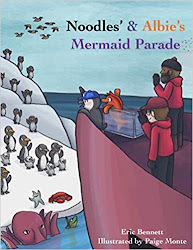 It is a far more complex tale that goes beyond entertainment and encourages readers to think and consider a few concepts in life and relationships such as love at first sight, and sacrifice for the good of loved ones. Detailed descriptions of the cities in which Drew lived in or traveled through paint a vivid picture throughout the novel. 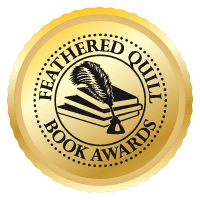 Those descriptions, coupled with a memorable cast of characters, will hook readers from the sweet beginning, carefully guide them through the tragic and shocking middle, and will gently take them to the bittersweet ending. Love, Loss and Lagniappe will leave readers (especially book groups) thinking about the events in this fast-paced story and how it unfolds, and asking themselves, “What would I do in this situation?” long after completion of this book. 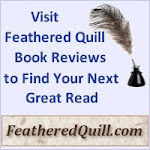 Quill says: If you are looking for a great read with a little something extra, search no further, Love, Loss and Lagniappe is the novel for you.